He wore a regular jersey this morning! With just three weeks remaining to the regular season, we do not want to jinx anybody. But you have to admit that it is quite something to see that no NHL coaches have been fired this season. TSN's Frank Seravalli says it best: "Coaching job security has typically been an oxymoron, particularly in the NHL, where more than a third of the league (11 teams) changed coaches in the 2017 calendar year." "I believe a lot of teams have shown significant patience this year when it comes to their head coaches. Look at the Winnipeg Jets and Paul Maurice: the Winnipeg fans calling for Maurice's head last year and now, all of sudden, he could be a Jack Adams Award candidate this year. Like the Philadelphia Flyers, Ron Hextall very loudly said Dave Hakstol is going to remain our coach in November, fans were calling for his head, chanting 'Fire Hakstol' at Flyers' games during a 10-game winless skid. They now have been in a playoff position for two months, and I think a lot of coaches that's music to their ears." Eakins, who seems ready for another run behind a bench in the NHL, understands why a change is coming to the NHL and the blame placed on a head coach's shoulders. “The coach is an easy target,” Eakins said. “I understand when teams are suffering; you can’t change out 23 players. Heck, a lot of times in today’s salary cap world you can’t even change out two or three. The hope is to get a new voice, a different style of coaching that will help your group. 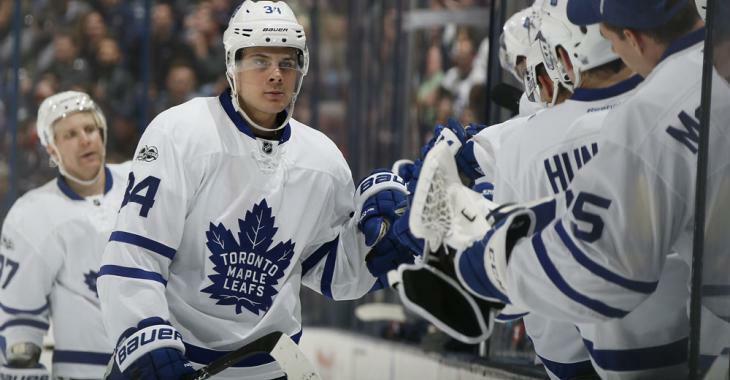 However, Seravalli notes that things will be different in the offseason. "We may be looming to the version of a hockey’s version of Black Monday on April 9, and I think that one name that a lot of teams are curious about what are the Chicago Blackhawks and Joel Quenneville do? Do they decide to shake hands after thus dynastic run and three Stanley Cups and move on? If so, Joel Quenneville would be unemployed for approximately 34 seconds, and then from the market would be a trickle down effect." If Quenneville becomes available, with now more and more rumors of him being on the move, teams that currently have a strong coach behind their bench could consider getting Quenneville the job instead. He is that good. There is also a lot of questions surrounding the coaching situation with the Edmonton Oilers, Calgary Flames, New York Rangers and Carolina Hurricanes. Which teams may make a change after the regular season comes to a close?